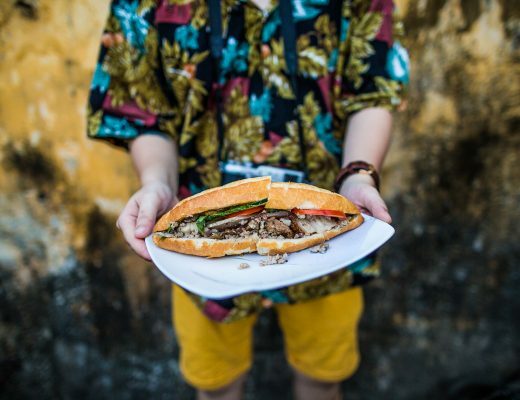 Who’s selling the best� bánh mì in� Hanoi? 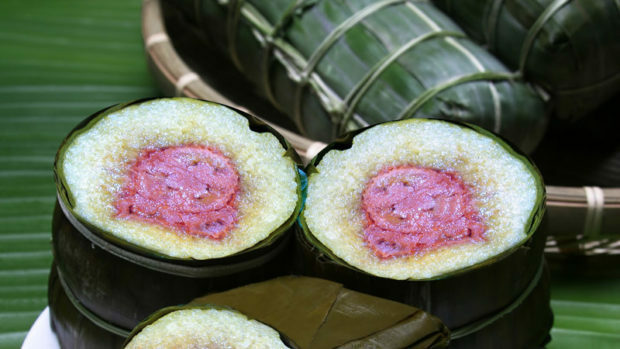 Let’s find out in this virtual tour around the capital of Vietnam to visit our selection of famous� bánh mì stores in Hanoi, and see who has the most delicious interpretation of this famous� Vietnamese street food. Situated at the corner of Đình Ngang and Cửa Nam streets, Bánh Mì� Trâm has been around for more than 20 years. Its specialty is� Bánh Mì� Thập Cẩm, with a dish of assorted ingredients: a slice of pâté, a fried egg, Vietnamese ham and pork skin sausage, and cucumber all slathered with the store’s signature sauce. Having all the ingredients deconstructed is not the traditional way to serve� bánh mì, and that’s exactly why Bánh Mì� Trâm is unique in its own right. 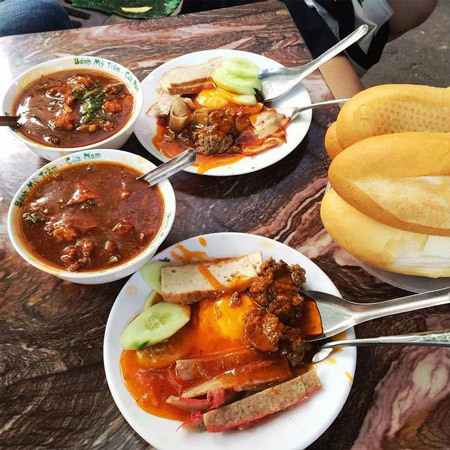 Beside Bánh Mì Thập Cẩm, you can also try Bánh Mì� Sốt Vang, which is the Vietnamese version of beef bourguignon — a French beef stew made with onions, mushrooms and other veggies — served with the� bánh mì. 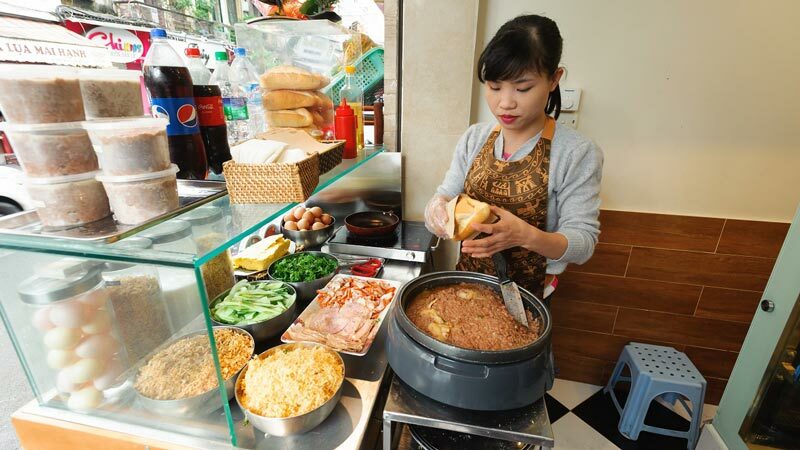 Bánh Mì� Bảo Quyên is famous for its pâté, which used to be the main ingredient. 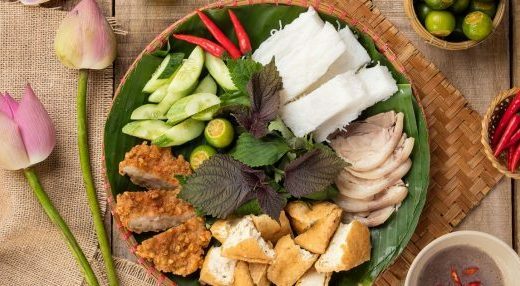 Presently, a serving of� bánh mì here is more filling than in the past, with pork floss, ham and barbecued pork added, together with cucumber and cilantro. Another store serving traditional� bánh mì with pâté, Bánh Mì� Phố Cổ is conveniently located on Đinh Liệt street, near Hoàn Kiếm Lake. Here you can choose from a range of ingredients to put in your� bánh mì, including barbecued pork, pork skin sausage, Chinese sausage, and Vietnamese ham. The store also has� Bánh Mì Bít Tết, or� bánh mì served with eggs, fries, pâté and steak on a pan — as Bít Tết is the Vietnamese pronunciation for beef steak. 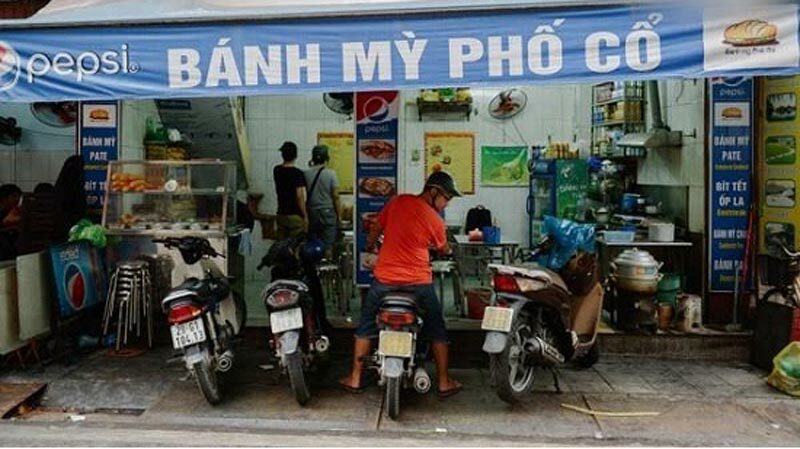 Established in 1979, Bánh Mì� Bà Dần is one of the oldest� bánh mìstores in Hanoi. Bà Dần’s son is now the owner of store, and he has managed to maintain its reputation among locals as well as travelers. 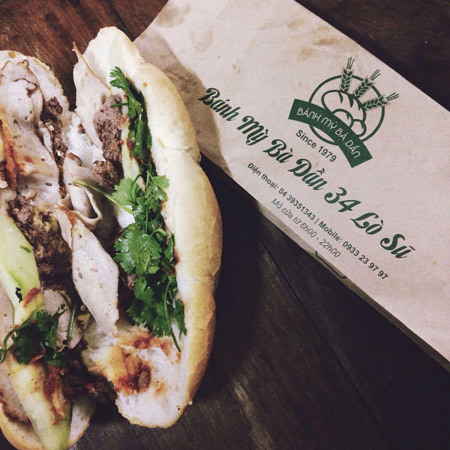 What’s unique about Bánh Mì� Bà Dần is the freshness of the baguettes. Every three hours, new baguettes arrive from the bakery, and this means the baguettes at the store are always crunchy.